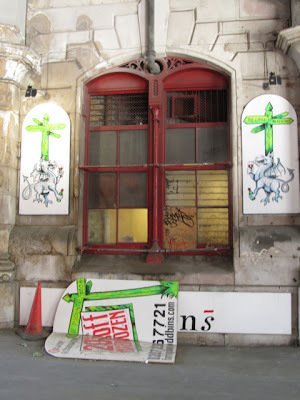 Turnover in the ExCellar shop in Paris had been in decline for several years – down by a third over three or four years. Not helped by a lack of stock due to suppliers being owed money. I understand that some 35,000€ is currently owed to ExCellar's French suppliers. However, the situation became critical at the end of November/beginning of December 2012 when the Direction Générale des Finances Publiques - service des Impots des Entreprises blocked ExCellar's French bank account with HSBC using a l'inscription de privilege. The French authorities took this action as ExCellar Ltd owed them around 18 months of social security payments for their employees (believed to be in the region of 100,000€) and some six months of TVA (VAT). The effect of blocking the account meant that monies taken by the business would go to the French tax authorities until the outstanding debt was paid off, so no chance of a profitable Christmas trading period. As already posted Baile arrived at the shop with a truck on Friday 7th December, emptied the shop and drove back to the UK. The Paris stock was then sold through the UK branches. Not entirely candid in the light of the freezing of the ExCellar bank account by the French Government! A few more details on Simon Baile's ExCellar Ltd going into administration and the events leading up this are now emerging. It is believed that the administration order was granted by a court in Manchester. The debt owed to South West Trains, who brought a winding upon order against ExCellars for unpaid rent on the now closed Surbiton Station shop is around £25,000. ExCellar moved to a cheaper site at 18-20 Brighton Road, Surbiton, Surrey KT6 5PQ but the rent debt was not paid. There are also rumours that a bid of £75,000 to buy the assets of ExCellars Ltd has been lodged with the administrator – Stephen Hunt of Griffins. Apparently the offer of £75,000 is described as being 'a true value of the assets of ExCellar Ltd'. 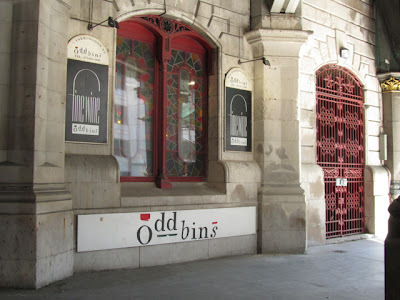 It is possible that there may also be a bid from the current owners of Oddbins, who might decide that the large premises at Farringdon, one of the sites bought by Baile from the Oddbins' administrator, could serve as a useful distribution hub to serve their London shops. Trade creditors include Les Caves de Pyrene, who are owed around £100,000, and ABS Wine Agencies, who are believed to be in for a substantial amount. In the case of ABS this is off-set by some of the debt being historic from a delivery that was due to go to Oddbins at the time of the collapse that Baile then took on. Also, hearing that administration was imminent, Mike Awin, a partner in ABS, was able on Sunday to retrieve their stock that was in the ExCellar's Fulham shop. Then on Monday he was able to negotiate with the administrators that ABS stock couldn't be moved from the Ashtead shop until retention of title can shown. Awin was bemused that it needed six people from the administrators to be present at the Ashtead shop to establish which wines had been supplied through ABS. One had travelled up from Exeter. I wonder how many administrators would be required to change a light bulb? 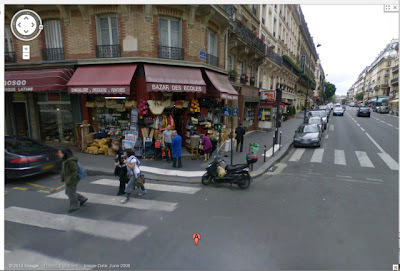 Jim's Loire understands from sources that on the evening of 7th December 2012 Simon Baile emptied the contents of his Paris shop at 25 Rue des Ecoles. All the stock – apparently worth around 17,000€ before tax, the fridges and display cabinets were loaded into a truck, which Baile drove back to the UK. As the wine was now due to be sold in the ExCellar UK shops in the lead up to Christmas and was not for his personal consumption, Baile doubtless declared the wine at the port of entry and paid any duty and vat due on the stock. Jim's Loire also understands that the employees Baile's ExCellar shop in Paris are in limbo as apparently Baile has not yet lodged the necessary paperwork – either a dépôt de bilan or a cessation de paiement – to close the company down in France, so although the employees are not being paid they are not formally unemployed so can't receive benefits. 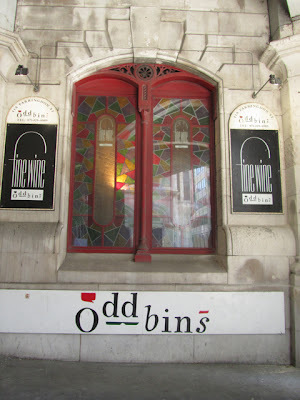 There will be a hearing before the Conseil de prud'hommes on 6th February. One of the employees has worked for the company for 32 years – originally for Simon Baile's father Nick. Simon Baile's ExCellar Ltd went into administration yesterday. See Harpers report here. Apparently Baile's company was facing a winding up order brought by South Western Trains. Following the collapse under Baile of Oddbins he bought five shops from the administrator. Some soon closed down – see here. None made here in 2012 but the fine and beautifully balanced 2011 makes up for this. Had a good day at Millésime Bio yesterday and managed to see quite a number of the Loire producers present at the Salon. Unfortunately as I have to head back to London today I will have to try and catch up with as many of the rest as I can this coming weekend in Angers. Naturally conversations often turned to discusssing what a pig of year 2012 was weatherwise, although there are some good wines from the vintage, so it shouldn't be written off. Volumes in many places are low to very low. It is clear that very little sweet wine was made in 2012 or should have been made. 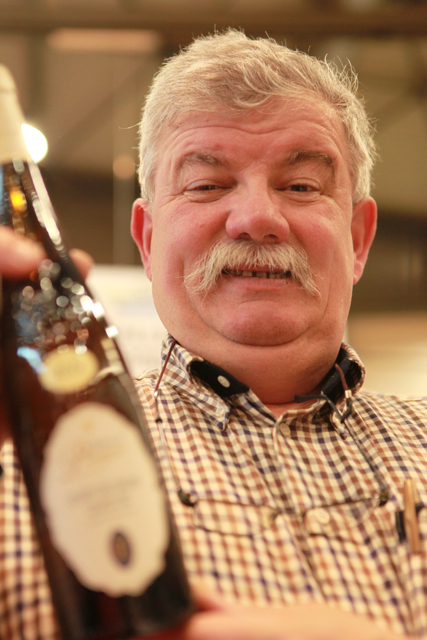 A number of producers including Patrick Baudouin, Philippe Delesvaux, Pierre Chauvin and Eddy Oosterlinck said that they hadn't made any due to the October downpour. Philippe Delesvaux: "The sugar content actually went backwards. I had grapes that were at 13% natural when the rains started that had dropped to 9% when the rain eventually stopped." Understandably Philippe decided it was impossible to try to leave the grapes in the hope it might eventually be possible to make any sweet wine in 2012. A few basic Coteaux du Layon cuvées have been made but will be surprising if anyone has managed to make anything more prestigious where the appellation requires a higher level of natural sugar. Even making a generic Layon may well have required the assistance of additional bagged up sunshine! 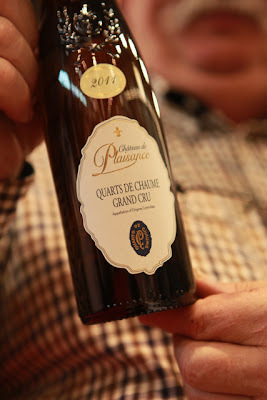 With the recent Quarts de Chaume décret requiring a minimum of 18% potential it will be amazing if anyone managed make any in 2012. Fortunately there are some very fine sweet wines from the 2010 and 2011 vintages to enjoy. Ken Payton's second film is two hours and 20 minutes long and features 12 'pioneer' producers from Languedoc. 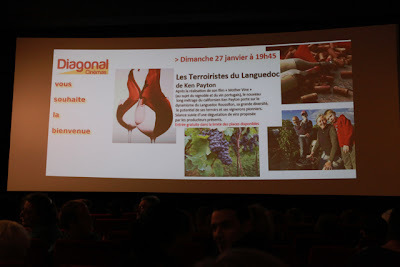 It had its world première at the Diagonal cinema in Montpellier last evening.